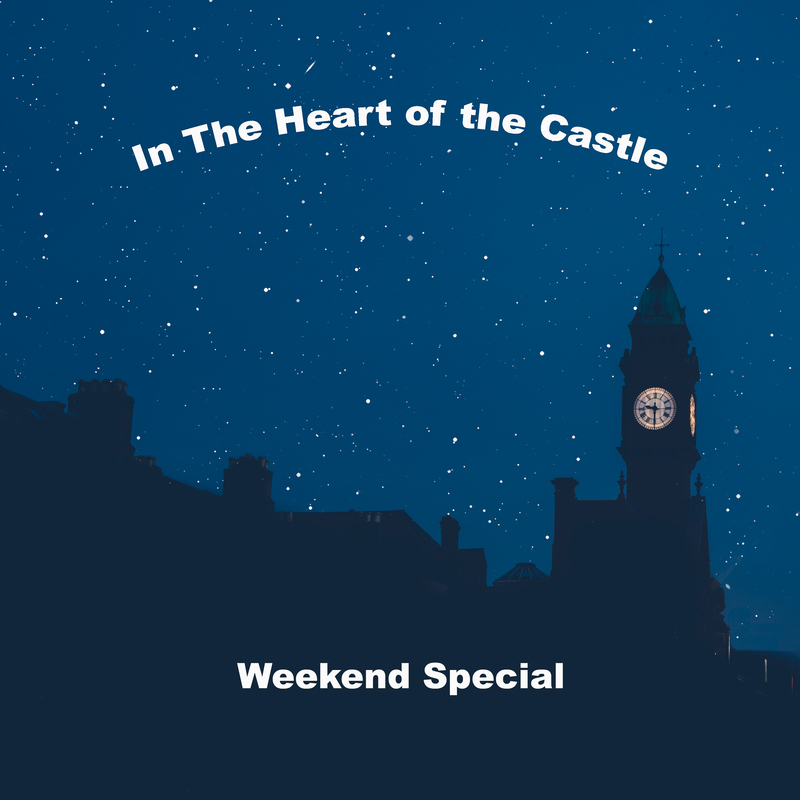 Is “In the heart of the castle” an album of country love songs with a pop flavour or is it an album of pop love songs with a country flavour? This is something the listener must decide. One way or the other, the atmosphere and lyrics of these fourteen compositions are typical of the writing style of Dublin composer Seán Silke. His speciality is warmly emotional and adult themes dealing in a powerful way with affairs of the heart. You can read both the song lyrics and song backgrounds by clicking the “Lyrics” tab on this website’s toolbar. You will then see a track listing. By clicking on any track title, the lyrics and song background information are revealed. Composer Seán Silke adds these observations: Is there a theme running through all the tracks? I think there might be. The lyrics of “Someone who no longer exists” speak of a young optimistic girl whose emotions have turned bitter. She finds herself deluded; she loves an illusion. The man to whom she gave her heart is now a different person. She blames her situation on allowing drift in her life – she is paying the price for never defining and never really taking hold of what she wanted. If you imagine her emotional world as a “house of dreams”, this house is something we hold together with difficulty. At times we reconstruct it. And there also comes the time when it no longer exists. I suspect that the concept of a “house of dreams” finds an echo in all the songs. Tracks like “In the heart of the castle” and “Heading on home to you” reflect the emotions of home when home is a safe and happy place to be. “In another life, in another world” talks of those dreams of the heart which are not necessarily shared. “If you’re looking for love” speaks of departed dreams. And “Worthy to be loved” describes what it is like when dreams are spectacularly and unexpectedly fulfilled. David Virgin, Rohan Healy and Al Quiff are a father and sons production team who, in their collective six decades of musical experience, have worked – on stage or in studio – with the likes of Nick Cave, INXS, Leslie Dowdall (In Tua Nua), Mary Black, The Cruel Sea, Cat Power, Billy Bragg and Lloyd Cole, to name but a few. As a producer and songwriter, David has had five number 1’s on the Australian charts. David produced pioneering industrial noise group SPK, who became a cited influence on Nine Inch Nails, The Prodigy, The Chemical Brothers and more. David’s original handwritten lyrics hang in the Bridle Bar at Áras an Uachtaráin. Rohan’s full time career in music began, like his father, at age 15. 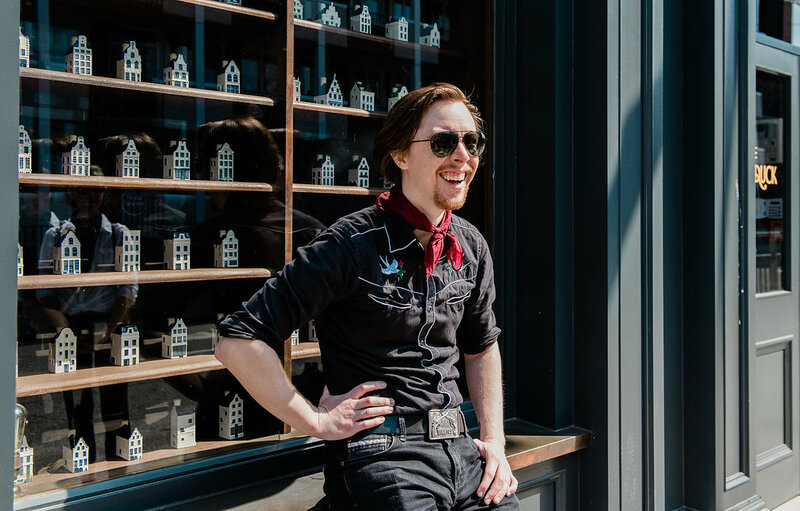 Rohan has written, recorded and produced ten solo albums, and has appeared on The Voice UK Series 5 and Busker Abú with The Dublin City Rounders. He has booked and performed over 1,000 shows in Australia, the UK, Ireland and Europe, and has dozens of production, songwriting and performance credits on other artists’ works. Rohan is also radio host of “Rhythm & Roots” on 103.2 Dublin City FM and Music Scout for Gnarles Publishing & Sync Library. Al has made a name for himself as one of Ireland’s top upright bass and electric bass players. He is also an excellent drummer. Beginning with psychobilly outfit Quiffs N Coffins, Al has racked up thousands of playing hours on stage and in studio including performances for President Michael D Higgins, the US Ambassador, the Sean O’Rourke Show, The Voice UK and dozens of outdoor festivals including one attended by 10,000 people during the RTE 1916 Rising Centenary. As well as recording in Beardfire Studios, Al’s session work has taken him to the likes of Windmill Lane. 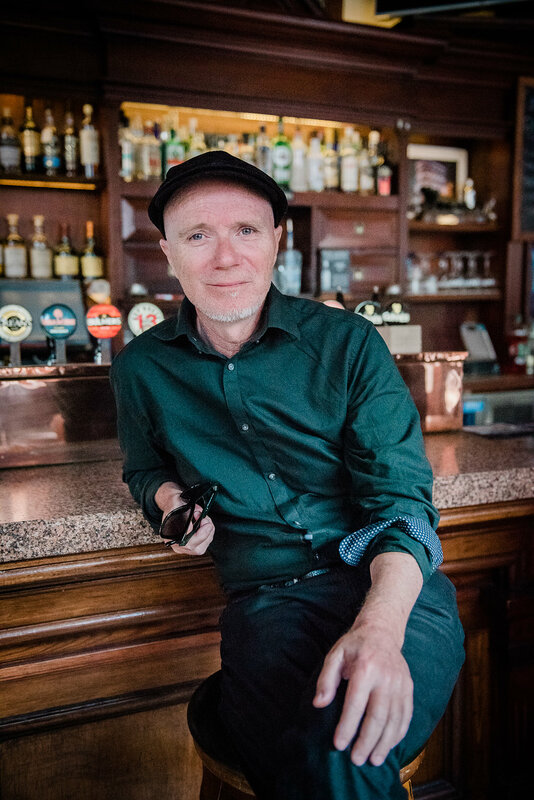 Composer Seán Silke writes: I had completed the “Unexamined Emotions” album (with singer Ellen Cosgrove and producer Chris Kabs) and was over half way through a big dance album project called “Unlucky in love” (produced by Chris Kabs and featuring a variety of lead singers). For a variety of reasons, I had to put the dance album aside for a while so I discussed the options for a third album with Rohan Healy of Beardfire Music. I had met Rohan at a meeting of the Songwriters Club, a bi-monthly session organised by Dubliner Keith McLoughlan. I was so impressed by Rohan’s specialised music business knowledge that I began using him as a business mentor (for an hourly fee). Rohan listened to some of my country/pop compositions and was very impressed. He is an Americana fan and encouraged me to consider putting together an album in this style – but with strong pop elements as well. (In my late twenties I went through a phase of being very interested in American country music. My favourites were Billie Jo Spears, Don Williams, Jim Reeves, Charlie Rich, Glen Campbell, and the Highwaymen – Willie Nelson, Johnny Cash, Waylon Jennings, and Kris Kristofferson.) There was no issue with putting together a collection of 14 original songs as I have a huge back catalogue of compositions (almost 500 original songs). Rohan is extremely well organised (as am I) so recording the album was a dream project. I first put the track listing together and sent the fourteen mp3s (with a few spares) over to Rohan. He liked them all but felt that for the sake of variety we needed two or three songs which provided a real contrast to the prevailing style. I mentioned the Caribbean flavour of “Remember the good times” and he quickly added this song to the final list. During another conversation, we were talking about the unusual time signature of Ed Sheeran’s “Perfect” and Rohan asked me if I had a song in the same time signature. I suggested “He’s crying at last” and this song also made the cut. We were now good to go and set aside fourteen consecutive working days (10.00 am to 4.00 pm each day) to record everything except the vocals. As usual, I printed out three copies of each set of lyrics for studio reference. Corresponding to each individual song, I have a page (put together at the demo stage) containing recording tips, key notation information, etc. – this is a vital tool to have to hand when recording. In addition, I checked out You-Tube and identified three different “sound reference” videos for Rohan’s consideration. Just like Chris Kabs, Rohan likes to be able to home in on one of these videos and use his interpretation of the “reference soundscape” as a creative spark; this helps him put together his own initial ideas about how to arrange and record my compositions. We tended to spend about six hours per day recording. Rohan used my digital keyboard as the MIDI instrument and he got me to play the piano, organ and string elements of the arrangement. He looked after the rhythm section. His brother, Al, contributed electric bass or double bass. And Rohan provided all the acoustic and electric guitar instrumentation. The beauty of having real musicians as part of the album team is that one avoids an overly dry or artificial sound. Even a few authentic instrument touches lift the recording to a different level. You get a very layered sound, a textured quality which makes the final mix sound rich, even if you cannot hear all of the contributing elements individually. On the vocal side, Darien Chase recorded all the songs over five days (usually three songs per day). We recorded three takes of the complete song (just to have different takes available) but usually selected one of the takes and sometimes made a few “line substitutions” where a specific phrase was not quite perfect. But in practice using one continuous take was the norm. It is an enormous advantage to be able to work with a highly professional singer like Darien who is a “one take” artist. A few final comments on Rohan Healy. As a producer, he is low key but impressive. He is lightning fast on the music production software (he uses Sonar). He is also very good at specifically telling the singer what he is looking for in a particular phrase or chorus. And he is imaginative when it comes to working out rhythms, intros and extra melody lines or riffs (as intros or middle eights). The best results will clearly be obtained when the client (singer / band / composer) knows exactly what he/she wants. Because we are both highly organised and focused, Rohan and I worked well together; and we stimulated one another creatively and found that we constantly came up with little ideas to improve the songs. At the mixing stage, I left this in Rohan’s hands (his brother, Al, and his father, David Virgin contributed significantly at this point). Rohan’s method is to work up a mix, master it and send it over to the client for assessment. We probably didn’t achieve exactly what we had in mind until the fourth song (establishing the ideal balance between Darien’s voice and the instrumentation took a little time to achieve). But after that it was relatively plain sailing. As the client, it was critical that I listened very carefully to the incoming mixes and made detailed notes about adjustments I required. These were small issues but such details are telling and the last thing you want is to end up with an album where you cringe at certain points in each song. And all because you didn’t take the mix analysis process seriously enough! How long did the album take to record overall? 14 days for the backing tracks, 5 days for the vocals, 7 days for the mixes. Five working weeks in all.